So, you know all about Queenstown’s adventure appeal. You might be well-versed about all the incredibly scenic sights embellishing this New Zealand travel hotspot. But have you tapped into the hidden gems, those unusual attractions that can easily go by unnoticed? If you haven’t, make sure to add these 10 quirky experiences to your to-do list. There are actually two choices here: the Minus 5° ICE BAR on Steamer Wharf, which recently celebrated its 10-year anniversary, or the Below Zero Ice Bar on Searle Lane. Both are renowned for their ice-carved interiors, an amazing showcase of sculptures and an all-round friendly atmosphere. Even better: both venues provide its visitors with jackets and warm garments, so no one has to stress about dressing for the conditions. What’s not to love about a boat that has been fully transformed into a floating bar and cafe? This buoyant venue is jovially bobbing on the shores of Queenstown Bay and is a definite must-visit for keen sightseers and foodies alike. Perky’s is the only one of its kind in the area and has become a local favourite for happy hour drinks and waterfront coffee dates. Fear Factory is a haunted house on Shotover Street – an area that is quite well-known for its thrill-seeking activities. This one is quite different from your usual jet boats and kayaks though: along with being a relatively new addition, Fear Factory’s appeal lies in its dark hallways and spine-tingling spooks. This is an activity best enjoyed in groups, and is not suitable for kids under the age of 15 (the haunted house claims that more than 12,000 people have ‘chickened out’ from the experience – that should be enough of an indicator of their scare levels). An underrated experience in what could be one of the most peaceful places in town. 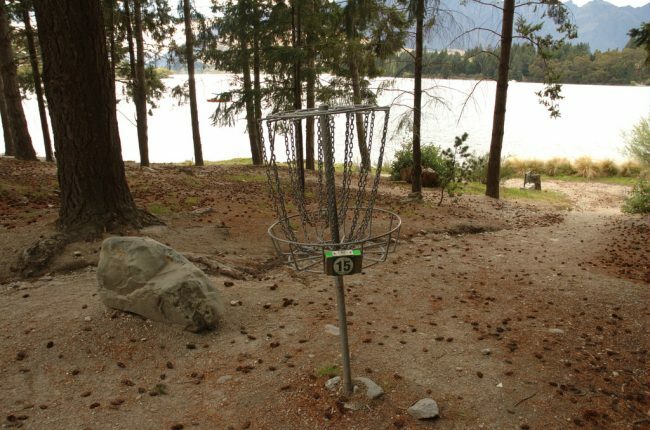 When it comes to golf and the Queenstown Gardens, people tend to think about disc golf. But Frisbee golf is slightly different: while you abide by similar rules and have to hit similar targets, Frisbees are the primary obstacle as you try to clear the 18-hole course. The game has been played in the gardens since the 1980s, and the permanently-marked course (the very first in New Zealand) was created in 1996. Queenstown Gardens, Queenstown 9300, New Zealand. Award-winning photographers Mike Langford and Jackie Ranken have combined their skills and local knowledge to carve out a remarkable landscape photography experience. They take Queenstown visitors on Photo Safaris, using four-wheel drives to transport budding photographers to some of the best off-the-beaten-track destinations in the vicinity – including the Nevis Valley, Paradise Valley and Skippers Canyon. Take time to appreciate the lovely sculptures and galleries in town. Your art trail begins as soon as you enter Queenstown: the aptly-named ‘Welcome O Visitors From Afar’ sculpture is one of the first pieces you’ll see as you leave the airport. Aside from local galleries and creative markets, you’ll encounter local artworks around Queenstown Hill and along Lake Wakatipu’s shores. Vineyards and wineries aside, the Central Otago region is better known for its mining history, rustic farmlands and sprawling stretches of roads. In recent years however, the Central Otago District Arts Trust has been working hard to support local creatives and foster great relationships between artists and art aficionados. The way they do it is through the Central Otago Arts Trail, which covers galleries and studios in Alexandra, Cromwell, Maniototo and Roxburgh. Dorothy Browns Cinema is a boutique theatre in Arrowtown. Queenstown film buffs will know the venue for hosting regular events organised by the community-driven Queenstown Film Society. Along with screening lesser-known gems and arthouse films, the cinema also plays recent blockbuster releases. The venue is named after local icon Dorothy Brown, a photographer who lived with a Chinese gold miner and is believed to have owned an opium den. 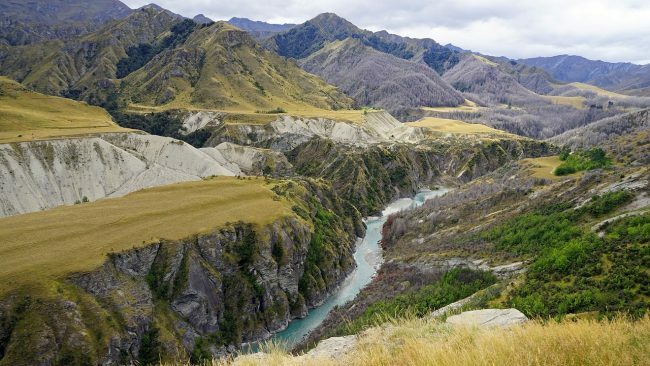 The Arrow River is a small tributary of the Kawarau River, the latter of which flows into the Clutha near Lake Wanaka. It is located in a gorge that holds small Brown and Rainbow trout in its reaches, making it a good place for novices to practice their fly fishing skills. If you’re looking for something closer to town, try the guided fishing tour that departs from Queenstown’s Beach Street jetty. Originally built by miners in the 1880s, the Invincible Gold Mine Track is nowadays a great location to get some easy, scenic hiking done. It’s part of the Otago Goldfields Park, which is a 30-minute drive from Glenorchy. A three-hour return journey on a hilly track rewards its visitors with an incredible panorama of Mt Earnslaw and the Rees Valley. History buffs will also relish the revolving cast-iron bowls that were once used to collect the gold from the ground and are still visible from the track to this day.